Amicus Legal is a leading law firm, with offices in the north of the island, in Rodney Bay, as well as in the capital city of Castries. 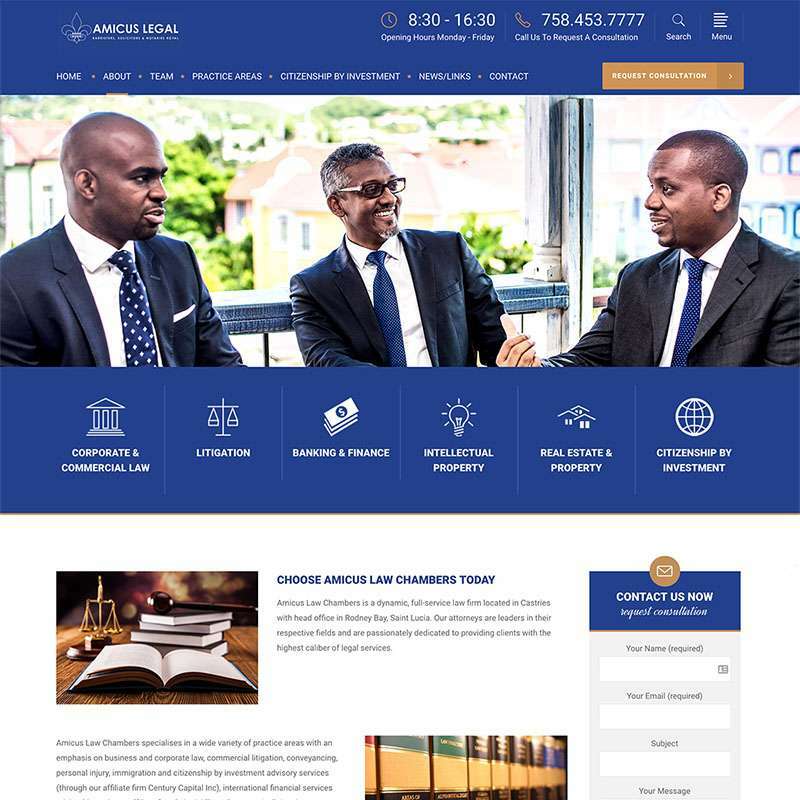 Amicus needed an attractive yet functional legal services website to cement their position as one of the fastest growing law firms in St Lucia. The legal services website, which is based upon the WordPress content management system, features information on the firm’s partners, and the services that it offers, as well as focusing on core areas of specialty, such as citizenship by investment. After completion of the legal services website, Mosaic carried out further search engine optimisation work, and assisted the firm with establishing a social media presence.